The Finnish Air Force suspects that there has been another alleged violation of its airspace by a Russian aircraft. MOSCOW (Sputnik) – On Thursday, Finland's Yle television reported citing border guard services that a Russian Su-27 jet had alleged stayed in the Finnish airspace for about a minute after crossing the border near the town of Porvoo some 30 miles east of the capital, Helsinki. "Russian SU-27 fighter suspected of having violated Finnish airspace in the afternoon on October 6. Later in the evening there was another suspected violation of airspace by the same aircraft type. The Air Force identified and described both machines," the Finnish Air Force said in a Friday statement. According to the release, the first suspected alleged violation occurred at 16:43 local time on Thursday, while the second event took place in the same area at 21:33. 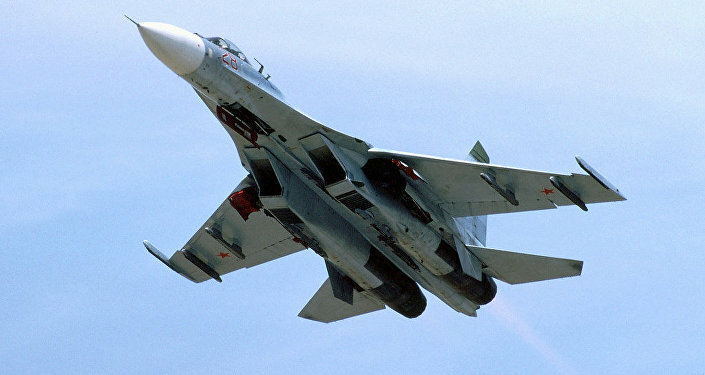 The Russian Defense Ministry has denied reports of the first alleged violation of the Finnish airspace by a Su-27 jet, saying that the aircraft carried out a training flight over neutral waters in the Bay of Finland on Thursday.